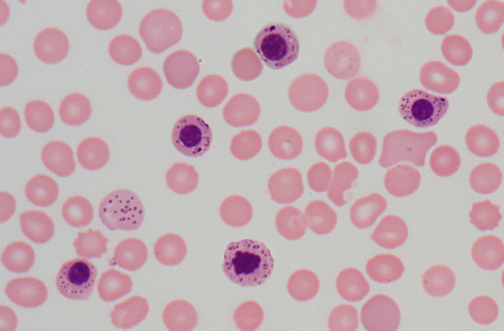 The nucleated RBCs contain basophilic stippling of the cytoplasm. This suggests a toxic injury to the bone marrow, such as lead poisoning. Such stippling may also appear with severe anemia, such as a megaloblastic anemia.